Yahoo! 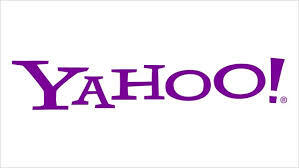 $YHOO, is one of the stocks in my portfolio. Their annual meeting is June 25, 2014. ProxyDemocracy.org had collected the votes of one fund when I checked and voted on 6/13/2014. I voted with the Board’s recommendations 56% of the time. Thus I assigned Yahoo! a proxy score of 62. View Proxy Statement. Read Warnings below. What follows are my recommendations on how to vote the Yahoo! proxy in order to enhance Yahoo’s corporate governance and long-term value. From Yahoo! Finance: Yahoo! Inc.’s ISS Governance QuickScore as of Jun 1, 2014 is 3. The pillar scores are Audit: 1; Board: 2; Shareholder Rights: 2; Compensation: 6. Brought to you by Institutional Shareholder Services (ISS). Scores range from “1” (low governance risk) to “10” (higher governance risk). Each of the pillar scores for Audit, Board, Shareholder Rights and Compensation, are based on specific company disclosures. Yahoo!’s Summary Compensation Table shows the highest paid named executive officer (NEO) was CEO Marissa A. Mayer at about $25M in 2013. I’m using Yahoo! Finance to determine market cap ($37B) and Wikipedia’s rule of thumb regarding classification. Yahoo! is a large-cap company. According to Equilar (page 6), the median CEO compensation at large-cap corporations was $9.7 million in 2012, so Yahoo!’s pay is well above that. Yahoo! shares outperformed the NASDAQ over the most recent one and two year periods, while essentially matching it over the five year period. Because pay was substantially above median and because of the problems noted by GMIAnalyst, I voted against the pay package, stock plan and compensation committee members: Maynard Webb (Chair) and Susan M. James. I voted to ratify the Yahoo! auditor. I voted in favor of the Yahoo! Board’s proposal to allow those continuously holding 25% of common shares for a year to hold a special meeting. I would have liked to see a 10% threshold but this proposal certainly represents movement in the right direction. I voted in favor of all three shareowner proposals at Yahoo! The first is a proposal by John Harrington to establish a human rights committee. Harrington first introduced a similar proposal in 2007 (at least as far as I know). That proposal won a vote of 4%. More recently a similar proposal won 25% last year. It would be nice to see Yahoo! leading the way when it comes to transparency, accountability, and respect of civil liberties and human rights. It would also be great for business, since this is an increased public concern. Please vote for proposal 6. I also voted in favor of proposal 7, submitted the Comptroller of the State of New York as Trustee for the New York State Common Retirement Fund, seeking to have various forms of lobbying expenditures disclosed. After Citizens United, political money from anonymous sources exploded. The Supreme Court assumed shareowners would reign in such contributions if they didn’t reflect shareowner values. But how can we reign in “dark money” if we don’t know where it goes? Vote in favor. Of course I also voted in favor of proposal 8, submitted by Trillium Asset Management and others, asking the Board to report on political contributions. Like proposal 7, we can’t reign in such contributions if we don’t know where it goes. Vote in favor. Shareholders interested in submitting a proposal for inclusion in the proxy materials we distribute for the 2015 annual meeting of shareholders may do so by following the procedures prescribed in Rule 14a-8 under the Securities Exchange Act of 1934, as amended (the “Exchange Act”). To be eligible for inclusion, shareholder proposals must be received by us no later than January 7, 2015 and must comply with the Company’s Bylaws and Rule 14a-8 under the Exchange Act regarding the inclusion of shareholder proposals in company-sponsored proxy materials. If we change the date of the 2015 annual meeting of shareholders by more than 30 days from the anniversary of this year’s meeting, shareholder proposals must be received a reasonable time before we begin to print and mail our proxy materials for the 2015 annual meeting of shareholders. Proposals should be sent to Yahoo’s Corporate Secretary at 701 First Avenue, Sunnyvale, California 94089. No action can be taken at Yahoo! without a meeting by written consent. Shareholders at Yahoo! cannot call special meetings.